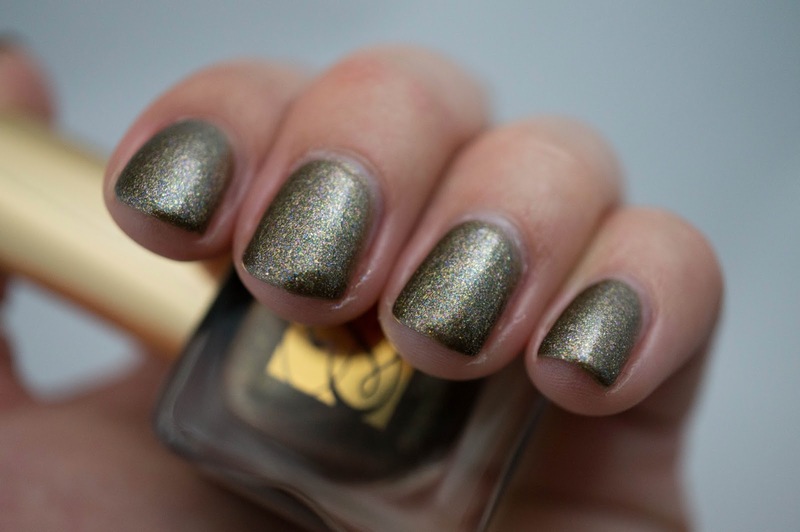 Today I've got another polish from the Estée Lauder Fall 2012 collection to show you. 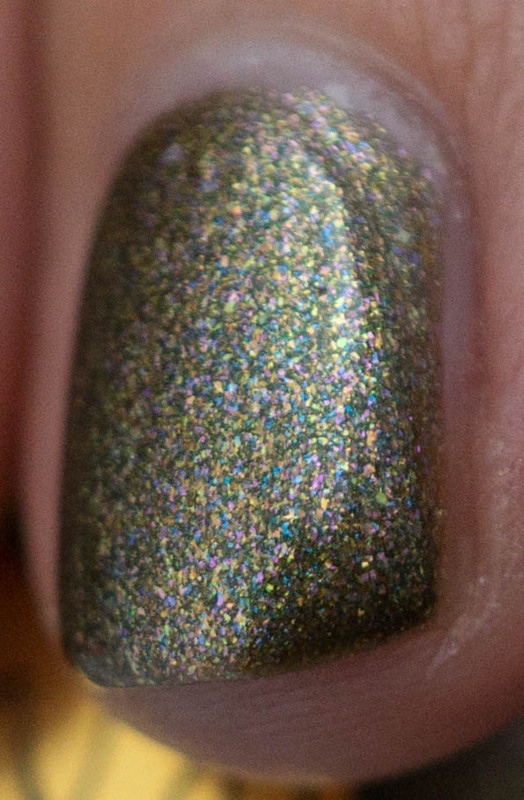 This time I used my new macro lens to get really up close and personal with the polish. Explosif is like a golden cousin to Chaos. 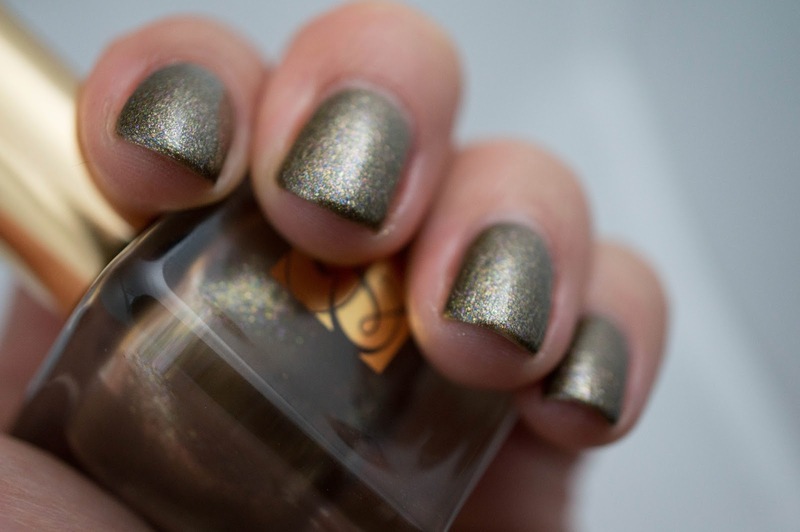 Explosif is a golden metallic polish packed with pink, blue and even a bit of green flakes. Just like Chaos, the formula on Explosif is awesome. I ended up using 3 coats so that the light wouldn't shine through the polish, but I could have gotten away with 2. It's not like normal people spend a lot of time holding their hands up and looking at their nails with back-lighting to check if any light shines through. I'm really glad I could get close enough to capture the different colors in the polish. I am still loving the new camera, especially with this macro lens. Now I just have to figure out how to get this close without leaving a reflection of myself in my nails! I hope everyone is enjoying Mardi Gras and the State of the Union! Very odd combination. . .
Hello! I would like to open cosmetology salon. Do you have an experience in this business? There are too many options in beauty salon equipment. Could you give me an advise? What companies are more reliable to buy 17 in 1 facial machine and Microdermabrasion machine at home?